ca. 1670, oil on canvas, 83 x 101 cm. Seymour Slive, Gleason Professor of Fine Arts emeritus at Harvard University and former Director of the Harvard University Art Museums, will contribute the catalogue that will accompany the exhibition. Jacob van Ruisdael (1628/29–82) is the pre-eminent Dutch landscape painter of the seventeenth century, renowned for the unmatched number of subjects he depicted and the wealth of clearly observed naturalistic detail in his works. Jacob van Ruisdael: master of landscape will present a retrospective of Ruisdael’s finest paintings alongside some of his most vivid drawings and rare etchings. Works on display will range from those Ruisdael created as a teenager when he first appeared on the scene in Haarlem in 1646 as a fully formed artist, to a celebrated series of mature masterworks. Jacob van Ruisdael: master of landscape will feature some 50 paintings and 36 drawings and etchings. The drawings will comprise sketches, initial studies for paintings and finished stand-alone works, while the etchings will represent the range of his output as a printmaker. The works on show will illustrate the diversity and scope of the landscapes Ruisdael depicted during the course of his career. Scenes of the bleaching fields, mills and woodlands around Haarlem, as well as his views of identifiable towns, cities, and castles will be displayed with paintings of rivers, bridges and sluices, seascapes and shore scenes, rushing torrents and Nordic waterfalls – though interestingly, it is unlikely that Ruisdael ever went to Scandinavia, absorbing instead the geography of that region through the works of other painters, such as Allart van Everdingen. The grandeur of Ruisdael’s compositions coupled with his skill in portraying natural phenomena and carefully observed detail, have made him one of the greatest masters of the Golden Age of Dutch painting. A contemporary of Rembrandt, Ruisdael painted landscapes of unequalled range and power. He could make the familiar remarkable: knotted tree trunks, dense foliage, brooding skies and choppy seas. Such was Ruisdael’s ability to render nature’s subtleties in a faithful manner that botanists have been able to identify species of plants and trees in his paintings, and oceanographers have marvelled at his accurate depiction of breaking waves. Highlights in the exhibition include the famous Jewish cemetery, from Dresden, one of two versions, painted in about 1655. This austere view of the Jewish cemetery at Oudekerk, near Amsterdam, with its tombs and ruins, flanked by woodland and a rushing stream, is particularly interesting due to its heightened symbolism. Mortality is depicted through the broken branches, crumbling ruins and centrally placed tombstones. Juxtaposed with these is the optimism offered by the burst of sunlight that breaks through the clouds and the graceful arch of a rainbow. The exact year of Ruisdael’s birth is unknown, but based on a statement he gave in 1661, it has been deduced he was born in 1628 or 1629, into abject poverty. Much about his life remains a mystery. It is not known who taught him. Popular theory points to his father, Isaack van Ruisdael (an ebony framemaker and occasional dealer) and to his uncle, Salomon van Ruysdael (a landscape painter) as possible candidates, though evidence is scant. 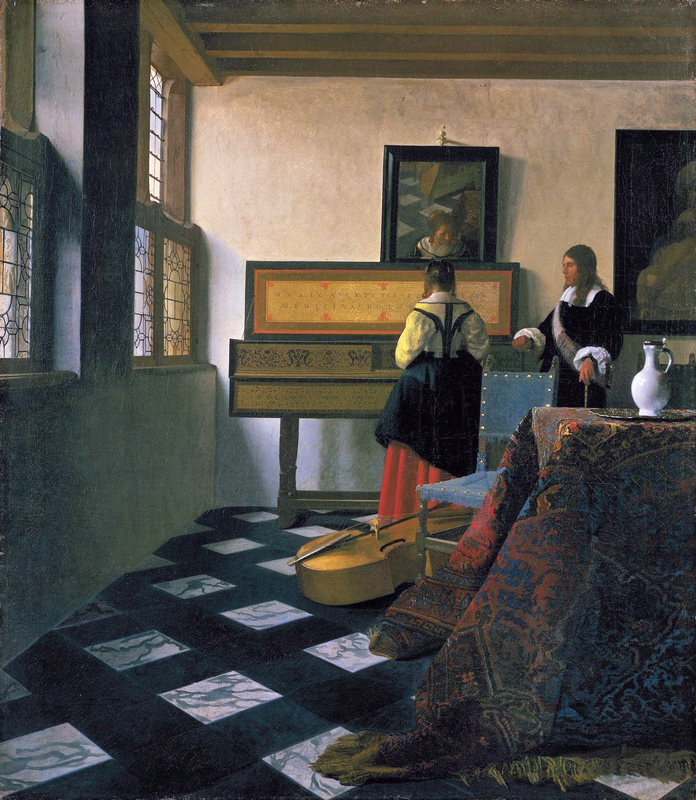 Raised in Haarlem, the precocious Jacob joined the St Lucas guild of painters in 1648. He later moved to Amsterdam, where he died in 1682, with no direct descendants, bequeathing all he had to his half sister. Reality and imagination coexist in Ruisdael’s work. The inimitable and versatile style he pioneered broke with painting traditions set by previous generations of Dutch painters. Not only did Ruisdael’s legacy shape landscape painting in Holland but it also had a far-reaching influence in England, on Barbizon in France and the Hudson River School in the United States. Ruisdael’s innovative approach to depicting nature had a profound effect on England’s own premier landscape painter, John Constable, a deep admirer of Ruisdael and the proud owner of several works by him. Constable was particularly inspired by his technique, especially his method of sketching directly onto canvas in oil. His admiration led him to make copies of Ruisdael’s etchings and paintings. To coincide with the Ruisdael exhibition The John Madejski Fine Rooms will be rehung with a display of more than 20 landscape paintings drawn from the Royal Academy’s Collection. Ranging in date from Gainsborough’s Romantic landscape (c. 1783), Turner’s Dolbadern Castle (1800) and rarely seen works by Victorian masters of the genre, the display will also include works by the likes of John Singer Sargent, Roger de Grey, Margaret Fisher Prout and Sir Winston Churchill. A display of books and prints from the RA Library will explore the Italian origins of 18th-century English taste in landscape and the liberating influence of 17th-century Dutch landscape painting on English artists including Constable. 27 x 23 cm., 280 pp., 180 color ills.